From the "Administration" page of Faculty Search, Administrators can control settings for their assigned unit(s), and Committee Managers can control settings and permissions for the positions they manage. 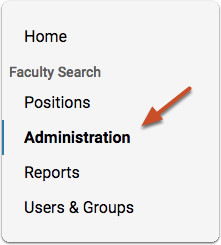 The following video explains the settings and options available from the Administration page of Faculty Search. 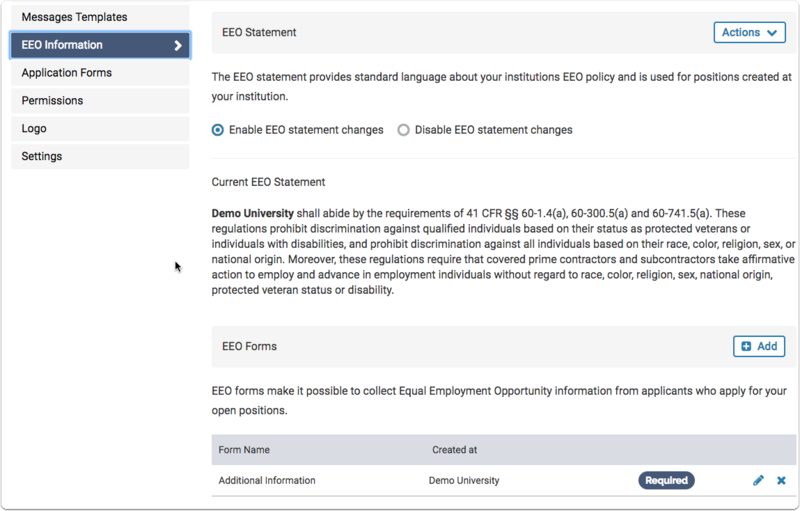 These topics are also covered in the article that follows. 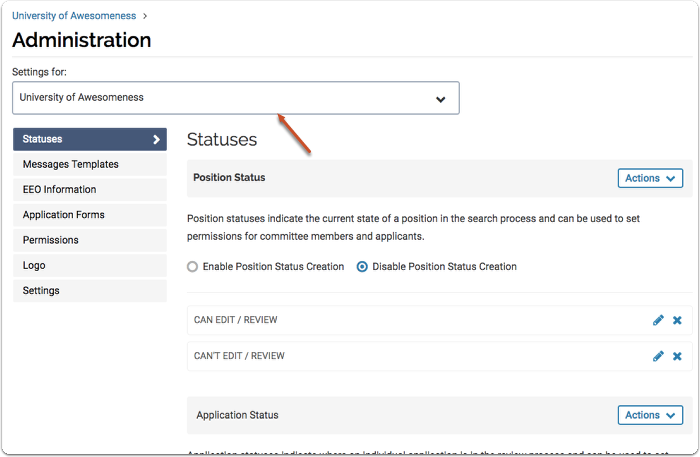 Click "Change" if you need to view and control settings for a different unit or position. 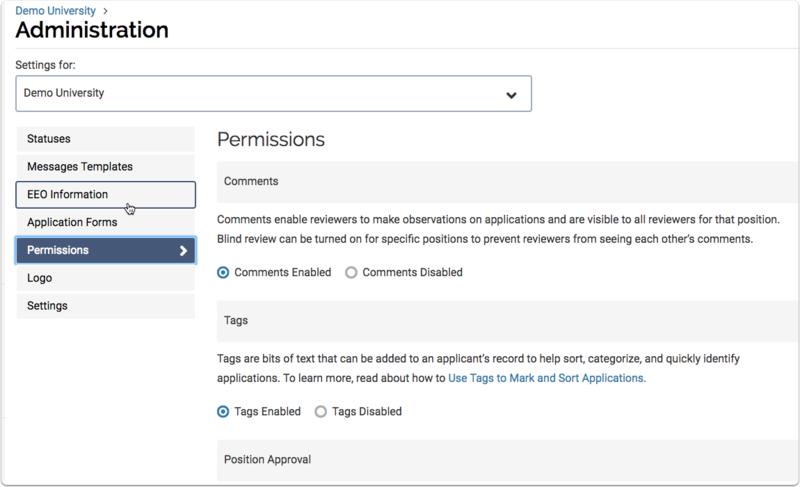 From the "Communications" tab, Administrators can set whether or not reviewers can comment and assign tags to applications. 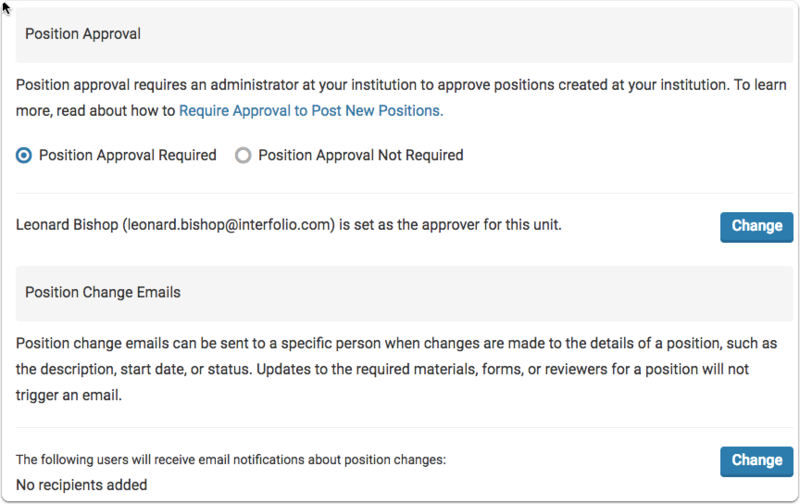 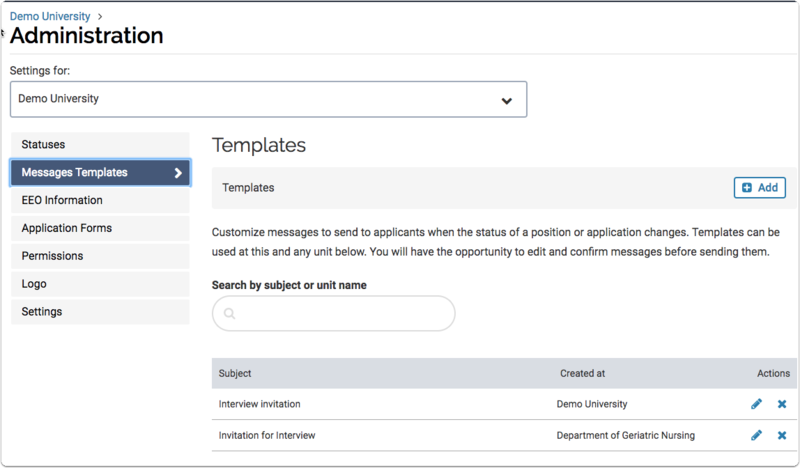 Administrators can require approval for new positions, set who to notify when a position changes, and set the sender name and "reply-to" address for email messages. 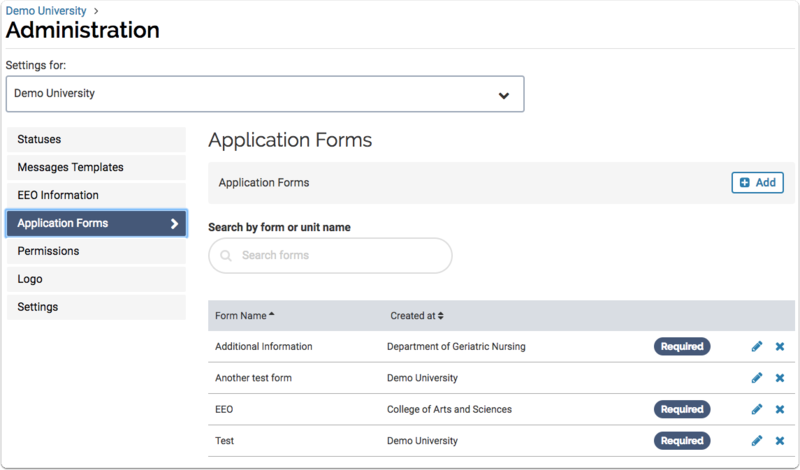 As of March 2018, Faculty Search clients have access to a public positions list. 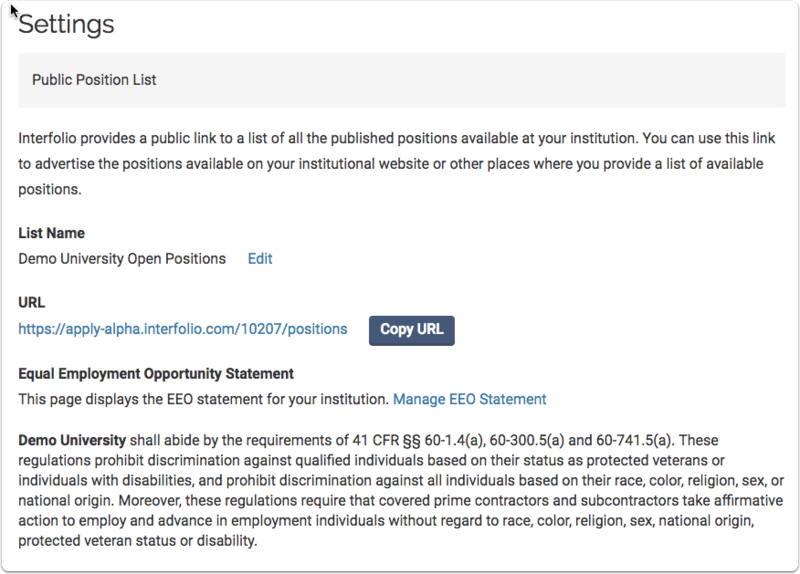 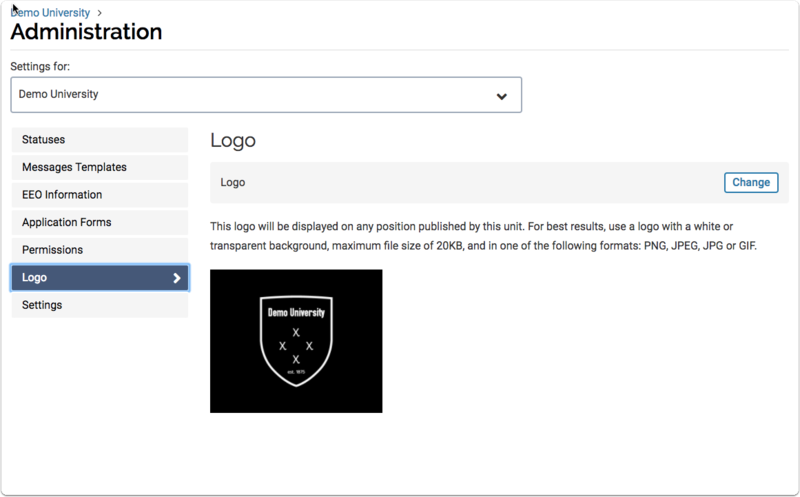 This is a public URL that can be distributed and displays all positions for a given institution.